Are you a leader of a ministry to those in great need? Maybe you teach in the inner city, serve teen moms, or work in your local food pantry. Maybe you are on staff at a church. Or maybe you find yourself volunteering in a prison or crisis pregnancy center. 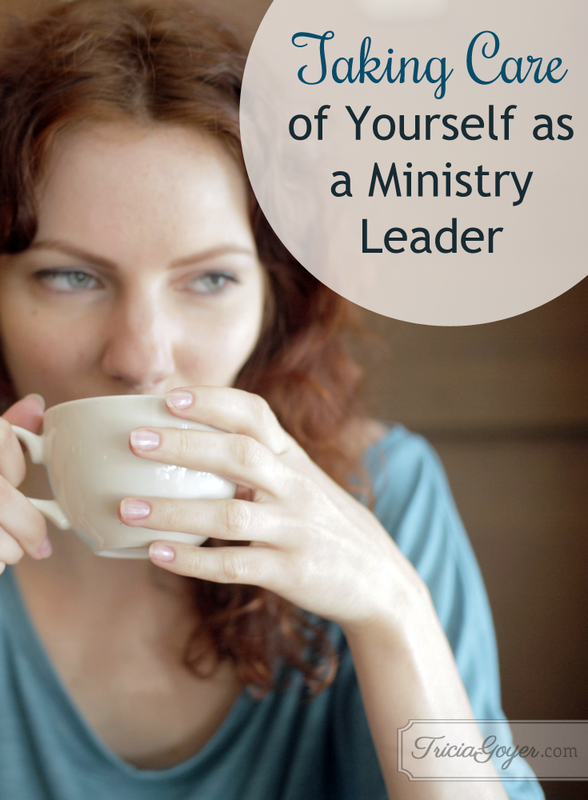 All of these ministries are wonderful, but also draining for leaders. Leaders give a lot. Leaders also have needs. Yet most of us do better at taking care of others than we do ourselves. Yet if we don’t care for ourselves, then how can we expect to have anything to give? We can’t. Why do you need to prioritize self care? Every leadership position has challenges. Every person you serve will have needs. No leadership job is easy. There will be obstacles along the way. Every leader has limits. There is only so much we can do, so much we can say, and so much we can give. Some groups/meetings will be more challenging than others. Some days nothing will run smoothly. You will be misunderstood. Your to-do list will grow. Your efforts may seem futile. You need faith to know you are making a difference. You need to focus on what’s unseen—the words that speak to the hearts of those you serve. Have faith that you will make a difference for that ONE person when he or she needs it most. Have faith that it will matter for eternity. As I serve in ministry, the story of Zacchaeus in Luke 19:1-10 has helped me more than any other passage. The crowds pressed around Jesus, but Jesus focused on one man, “Zacchaeus, come down immediately. I must stay at your house today.” There were many needs, Jesus focused on one. Trust that the Holy Spirit in you will stir your spirit, and out of all the people who have needs, Jesus will guide you to the one person who you need to spend an extra amount of time with. You will not be able to see the difference you are making right away, but with the Holy Spirit’s guidance you are making a difference. Do not quit. Those in need have had more people quit on them than they can count. When you feel like giving up, ask God to strengthen you. Seek Him and seek the encouragement of others. Don’t be shy about telling others that you need encouragement! Read your favorite Scripture verses. Write in a prayer journal. Think back on success stories from your program or other programs. Talk to a friend, mentor and or fellow leader. When you feel like giving up, remember a time when someone DID NOT give up on you. What was your motivation to step into leadership? What did God speak to your heart back then to confirm your decision? How did other mature Christians confirm that this was your calling? When I get discouraged and overwhelmed I look back and remember how far I’ve come as a follower of Christ. I also remember that God is in the transformation business. This is HIS work, I’m just joining Him in it. Clarity also means understanding we can’t save anyone with our own strength. It means understanding that some people are also not ready to be rescued from their problems. We are not the Savior those who are in need. We need to point them to Jesus. Our efforts will not fix them. We can only help. Each young woman must be willing to do that hard work by herself. She must stand before Jesus alone. Accept that, and release the burden to Jesus. Leaders give a lot of themselves, and our leadership role is just one aspect of our lives. We are wives and moms. We have jobs and we care for our home. We are church and community members. That’s a lot! If you don’t have clarity, strength, or faith in your ministry sometimes it’s not a spiritual problem but rather a physical need for rest. We need to take care of ourselves. We must sleep when we’re tired, eat food that will fuel our bodies, move, and enjoy life! When we are completely wore out we can’t serve anyone. When we are tired we will make rash and foolish decisions. When we are exhausted we will want to give up. When we are at our whit’s end we won’t show the love and compassion we should to the people we serve. Being a leader is as much about what God wants to do with you as it is about them. God has ways He wants to grow you, mature you, stretch you and mold you. When you face challenges He will be your answer. (And He will give you the answers you need!). The needs of the needy people you serve will bring you to your knees—where is exactly where you should be. Your worries and needs as a leader will take you to God for help and strength … and you’ll discover Him in ways you never did before! 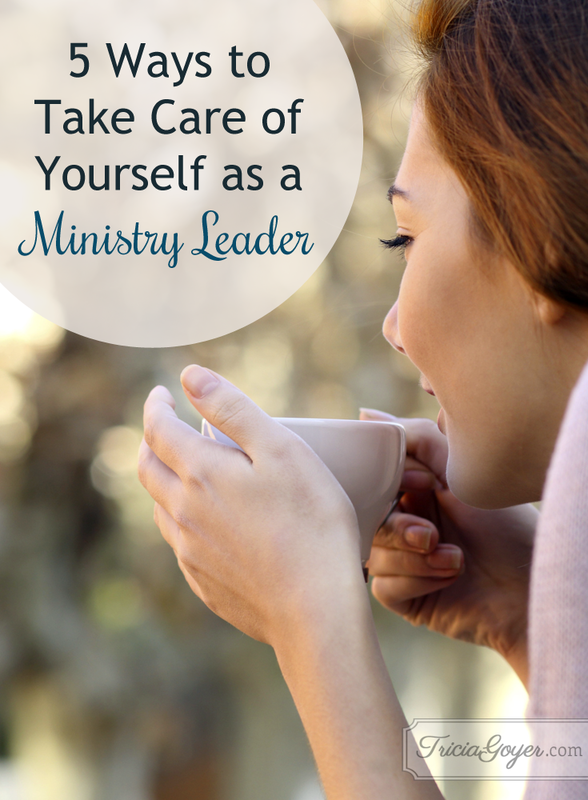 God is forming you into the image of His son, and He’s using your leadership role to do it! It’s a blessing that you/we can join Him in this transforming work … starting with yourself! You have no idea how much this article just blessed me!! It was just what I needed to hear, thank you so much. I actually read Women of Influence. Thank you so much, I know I need to reread and finish the book. My boyfriend is in a ministry but the only giving and help is going to the leader for personal usage such as travel to Kenya where the leader got married there. My boyfriend paid for everything including their wedding rings . He goes to church but gives his tithes to the leader of the ministry. I’m confused as to what’s going on or what are the responsibility of the ministry. My boyfriend is battling cancer but the leader has not offered to help instead he keeps his hand out and gets upset if my boyfriend tells him he can’t help them of course my boyfriend gives is. I don’t know what to do. It sounds like something is wrong with that picture.